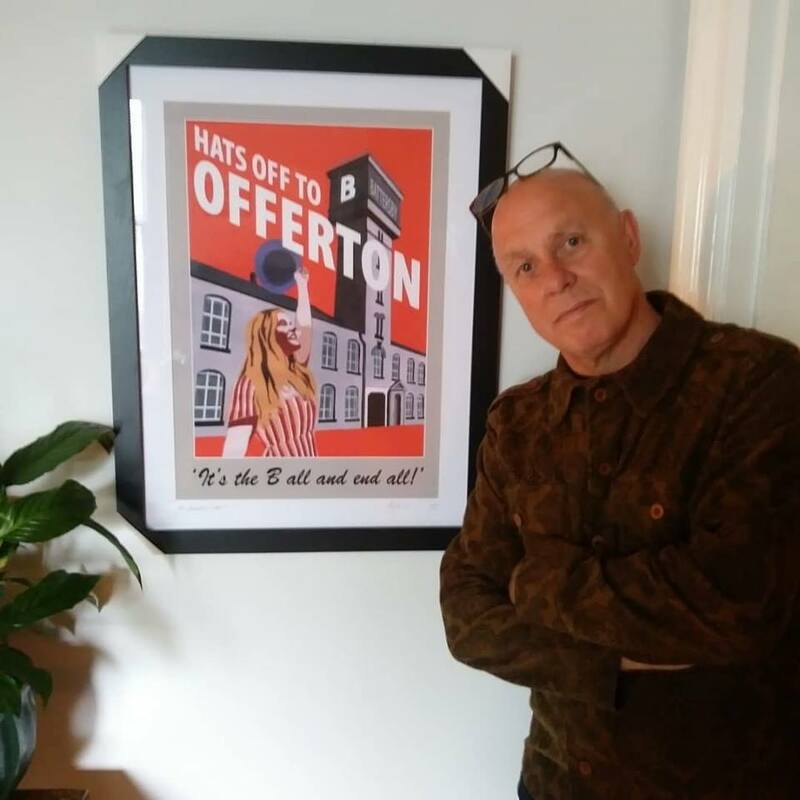 These local posters are the handiwork of my old pal and neighbour Eric Jackson, once of the Manchester Evening News and the creative force behind Statement Artworks. We have a few 1930s art deco railway posters around the house. It's a style from the golden age of railway advertising, rather than the railways themselves, and Eric has cleverly borrowed from that style. So many localised artefacts are twee and boosterish, but I love how these tread that thin line between a smidgen of pride and self deprecating northern humour, something very dry and very Eric. Northernticity, as Dave Haslam calls it. 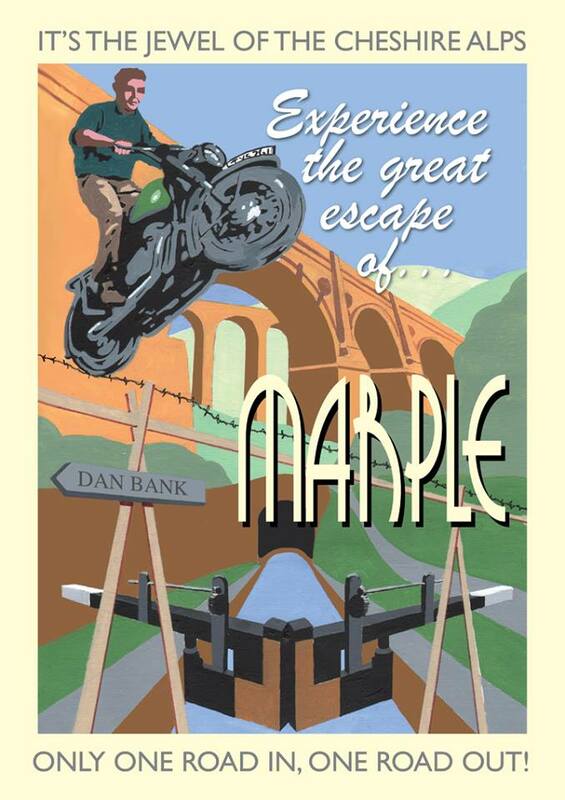 He's been telling me for a while that there was a Marple one in the pipeline. I wondered what local characteristics it could come up with. I think the allusion to the traffic is genius and the typography a great twist. 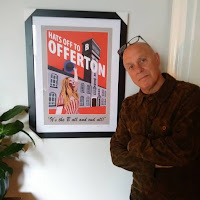 The Offerton poster is great too, drawing a landmark with a gentle overstatement of the place in anyone's heart. Take a look at Eric's website for one for your area, I love how he's not tried to be in any way tactful for Wilmslow, Alderley and Hale. There's an assumption, I suspect, that there aren't markets in irony to be found in Cheshire's golden triangle.